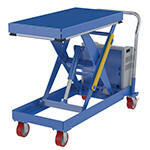 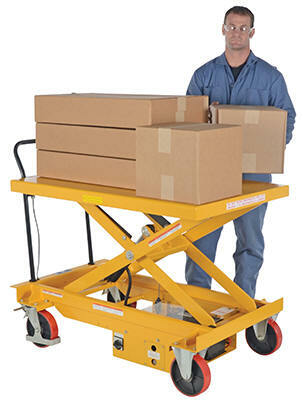 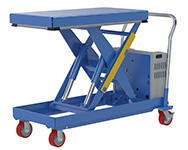 These carts are ideal for quick lifting and ergonomic material handling. 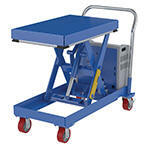 Battery-powered units allowoperators to raise and lower platform with the push of a button. 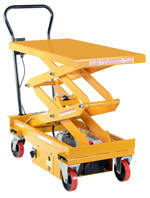 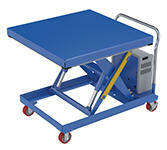 *Units roll on two (2) rigid and two(2) swivel polyurethane casters while the others roll on 5" poly-on-steel casters. 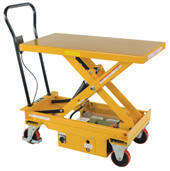 Includes one (1) 12V battery and an on-board charger.